StemCells, Inc., a stem cell company developing novel cell-based therapeutics for disorders of the central nervous system, announced today that Ann Tsukamoto, Ph.D., Executive Vice President, Scientific and Strategic Alliances of StemCells, will be making the keynote address at the Scientific Symposium of the 2013 Stem Cell Meeting on the Mesa. The meeting will be held October 14-16 in La Jolla, Calif. In her address, "Human Neural Stem Cells from Discovery to Clinic," Dr. Tsukamoto will describe the compelling preclinical data that underlie the company's clinical trials targeting disorders in the brain, spinal cord, and eye, and the encouraging early data from these clinical trials. Dr. Tsukamoto is scheduled to speak at 8:05 a.m. Pacific Time on October 16, at the Salk Institute for Biological Studies. "Harnessing the potential of cell-based therapy presents many challenges. We at StemCells have taken a meticulous approach to developing our proprietary neural stem cell technology. We have carefully followed the science, and have generated and published a robust body of scientific data, including a number of preclinical proof-of-principle studies in well-accepted animal models. The early clinical data from a number of our Phase I/II trials is encouraging as the data is beginning to confirm much of what we have seen in the animal models." said Dr. Tsukamoto. Dr. Tsukamoto has been working on stem cells for over 25 years. She joined StemCells in 1998, and under her direction, the Company isolated its proprietary HuCNS-SC® cells (purified human neural stem cells) and successfully transitioned into clinical development for a range of CNS indications. Prior to joining the Company, Dr. Tsukamoto was a co-discoverer of the human hematopoietic stem cell and is a named inventor on seven issued US patents. The Stem Cell Meeting on the Mesa is a three-day conference organized by the Sanford Consortium for Regenerative Medicine, the California Institute for Regenerative Medicine (CIRM), and the Alliance for Regenerative Medicine (ARM). The conference is aimed at bringing together senior members of the regenerative medicine industry with the scientific research community to advance stem cell science into cures. The conference's nationally recognized Scientific Symposium, which will be held on October 16, is attended by leading scientists and researchers and will showcase leading academic research in the field of regenerative medicine. 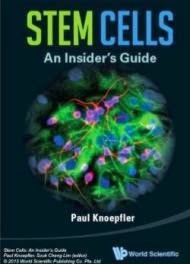 Please visit http://stemcellmeetingonthemesa.com/ for more information about the upcoming conference.